Are you looking for a lasting and unique remembrance of a loved one who has passed on? Memorial Diamonds make this possible. With the use of a special technique, we’re able to turn ash into diamonds. This unique and relatively new method allows for a part of a loved one to become a sparkling diamond. A Memorial Diamond is not a real burial in the conventional sense. 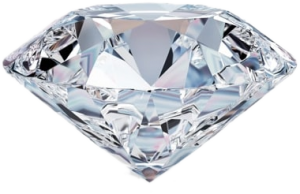 It is called a burial because a portion of the ashes acquired during cremation is transformed into a diamond. If you decide to have a diamond burial, we recommend you take out a Funeral Plan and a Funeral Cost Insurance or contact us here. About 150-300 grams of ash are used to create a diamond. The ash you provide is tagged and registered as soon as we receive it to assure the right material is used for each project. The production process begins with a comprehensive chemical analysis of the ash provided. In doing so, we create a sort of “genetic fingerprint”. The data collected by this analysis is documented in a certificate that we later send to the owner of the diamond along with the diamond itself. After the conduction of this analysis, the carbon contained in the ash is extracted using a special procedure. This constitutes the base material for the conversion process of ash into diamond. Afterwards, the pressing process takes place. Carbon is converted into a diamond of ash under high pressure of up to 60,000 bars and a temperature of about 1,200° Celsius. The pressure and temperature must match precisely for a diamond to grow. Only then do carbon atoms close tedrahedral to become a precious diamond. Depending on the carat weight, the transformation process takes between eight to fourteen days. Finally, the raw diamond is cut as you indicated in your order. We kindly ask you to have a bit of patience during the Memorial Diamond process, which will be rewarded with the uniqueness and beauty of the final result.